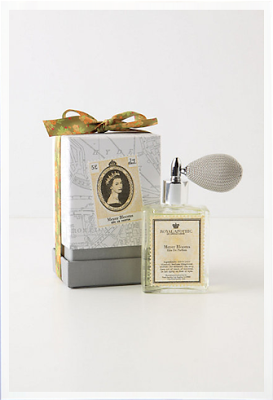 Fourth on my 2012 favorite things list is Royal Apothic Eau De Parfum in Meyer Bloom from Anthropologie. It's a lovely light and fresh scent. Anthropologie says: Meyer Bloom: hyacinth, stephanotis and lily of the valley mingle with Meyer lemon and warm vanilla. Not only is it a wonderful scent, it's packaged beautifully. It comes with an atomizer ball in a gift box with a cute floral ribbon. What else do I love? You can check out all of my 2012 favorite things HERE! 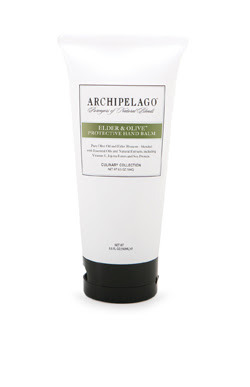 Third on the 2012 favorite things list is Archipelagos's Elder & Olive Hand Balm. Archipelago says it is "a blend of natural essential oils and extracts including Pure Olive Oil, Orange Blossom, Tea Tree Oil, and Sage Leaf - all of which have the antibacterial, cleansing, or other effects." That's a pretty accurate description, but I would describe it as "super awesome-tastic." No slight on Archipelago, I just have a way with words. ... Anyway, I use it on my hands all the time. It's a great blend, not too greasy, absorbs well, and feels oh so good. Perfect for dry winter hands. You can buy it direct from Archipelago, or if you are local to DC you can pick it up at Home Rule on 14th Street NW. 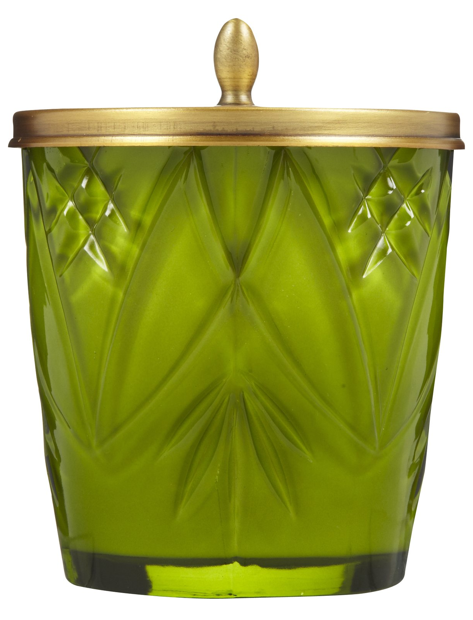 Second on the 2012 favorite things list: Balsam & Cedar by Illume. This scent is one of my favorites of all time. I'm a candle nut, so that's saying a lot. It is one of Illume's holiday scents, so I'm not sure you can get it after the holidays. I always stock up at Christmas time so I can burn it year round. Yes, it's a holiday scent, but for me it reads earthy not necessarily "Christmasy" and reminds me not only of winters but also summers at my Grandmother's home in northern Minnesota. I personally like the candles, but I have used both the room spray and the diffuser in years past and they are lovely as well. You can purchase online at Illume.com, but if you are local they sell them at Home Rule in DC. I've also found them at Crate & Barrel. My body type is a bit too much on the curvy side to be able to rock a knit dress like this with confidence. I'd have to belt it most certainly, which I figure would kind of ruin the cool knit detailing at the waist. Maybe not though, what do you think? Do you think belting this dress will take away from the look? Happy Holidays! As 2012 comes to a close, I wanted to share with you a few of my favorite things. 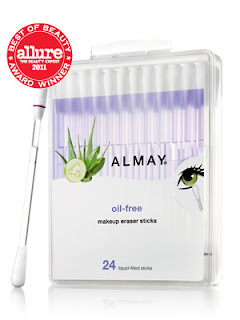 First on the 2012 favorite thing list: Almay Oil-Free Makeup Eraser Sticks. They are brilliant. Brilliant I say!! Perfect for your pocketbook, these babies have oil-free makeup remover inside the wand of a cotton swab. Hold end with color ring up. Smooth saturated cotton tip over makeup to gently lift it away. Have you used Almay's Oil-Free Makeup Eraser Sticks?